Month: January 2011 - ThirtySevenWest ThirtySevenWest - Creative ideas about personalized custom ribbons, woven tags and labels, personalized gifts and more!!! Here, at Thirty Seven West, we aim at the best customer service possible and we always seek for our customers’ feedback. We have sent the emails to our customers to see what they think about our products and services and the ways we can improve to serve them better. Some of the questions we have asked were to describe their experience with us, to see whether we were patient, enthusiastic, friendly, and responsive; if we listened to them carefully and whether they would recommend us to others. These are some of the responses we have received. “I had a great experience with Thirty Seven West. My woven labels were delivered as promised and you were responsive to all of my questions. I liked the fact that you were very patient and always treated me with respect. 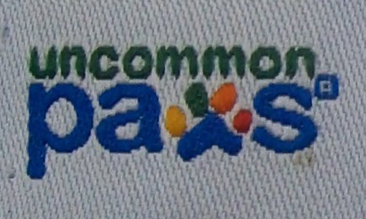 Uncommon Paws is a start-up company, so I am learning as I go along. Amanda was very enthusiastic, interested in my needs and happy to help and guide me. She listened very carefully and all my concerns were addressed. Amanda also kept checking in with me frequently. She was always cheerful, friendly and respectful. The customer service was great and responsive. All my questions and concerns were answered almost immediately. I would recommend you to anyone who is in need of your products without hesitation”. Thank you for the image. It looks great. Also the company you sent the woven labels to have confirmed receiving the package. I want to thank you very much for your help and for finishing the project on time. I will definitely recommend your company to others. 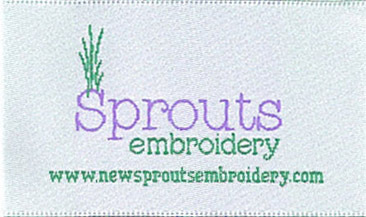 Thank you so much, Linda, for our fabric clothing labels. I just received them yesterday, and they look really great! You did an awesome job! I will let you know as soon as I will need more! I received my personalized labels and am very pleased with the way they turned out. They are better than expected! A+++++++++ to you! I am certain that I will be contacting you again in the future for a re-order. I keep forgetting to let you know I did receive my order. 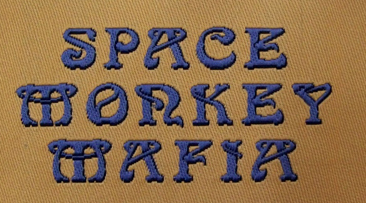 My friends and I just love these customized woven labels. Thanks so much for working hard on these labels for me! I got my first batch of bags yesterday with my custom woven labels in them, and I cried very happy proud tears. I am in love with them. 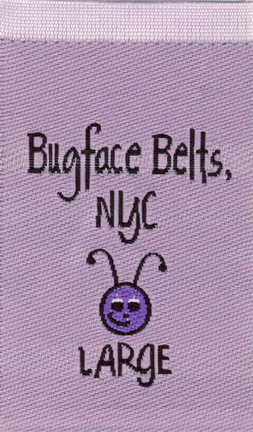 I told my husband last night that I might just lay in bed with them all…..yep, I am that crazy about these personalized woven labels for my bags. Thanks you soooo much. They are perfect;). Hope all is well. I just returned home from the holiday weekend and was totally thrilled with the printed labels! 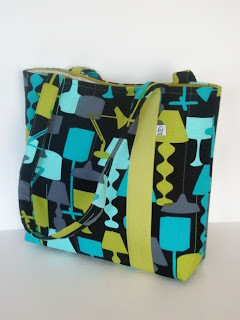 I have even made a few bags and they look fantastic on them! So professional! Thanks for our custom woven labels! We were very happy with this work. Thanks Thirty Seven West/ LabelsAmerica! I got my printed labels and have tried them out on a few belts and they look GREAT. 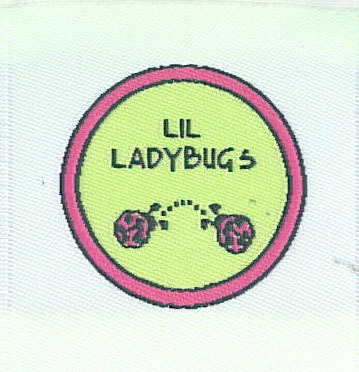 Especially the baby bug ones are sooooo cute. I wanted to let you know how extremely pleased we are at Sprouts with your fine work. Not only are our woven custom labels perfect in every small detail, but our order was handled swiftly and professionally. We were very grateful to find how simple it was to contact you, place the order, approve the proof, and let Thirty Seven West/Labels America do all the work. It is a very customer-friendly system that you have. Also, after doing several price comparisons, I believe that your product offers the greatest value. 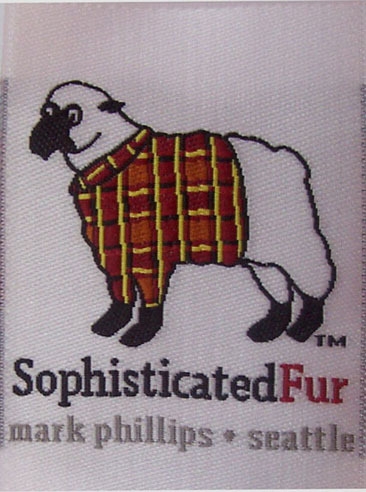 Believing, as I do, that you get what you pay for, personalized woven labels are quite competitively priced. We will be contacting you in the future for any future work that we need, and again, thank you for your attention to detail and excellent customer service. The custom woven labels arrived last week. Thank you for your patience in working with me to get just what I wanted. I just wanted to thank you so much for ALL of your hard work on my company’s woven labels.They are absolutely beautiful and I got them just in time. Sorry for the rush order. I promise not to do that to you again, but it is great to know that someone will give it all they have to help out someone in need. Thanks again! I was never pleased with my first custom woven labels that I ordered from the other company. The font was really bad and they told me to select pantones for my thread colors. I used the pantone chart to select a shade of green, but they didn’t have any green thread that even closely resembled my color selection. Therefore, the colors of my old labels were completely wrong. They also messed up a lot of my woven labels. They had black stitching down the middle of them (couldn’t use them on my products). 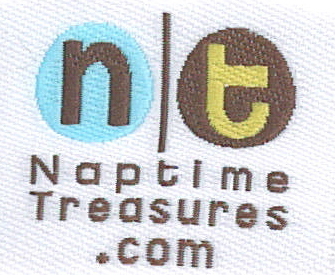 The fabric used in my old printed labels was also very hard – not good for baby accessories. I had to cut the corners off of some of them so that babies couldn’t harm themselves on them. 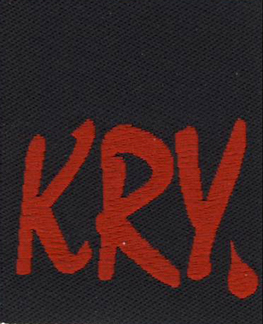 The personalized woven labels that you sent are remarkable. They are so soft, and the font is perfect, and the colors are amazing. They are just what I wanted. I also can’t thank you enough for the service that I received from you. I know that I put you through hoops trying to get these custom woven labels done and I truly appreciate all of your efforts. You are a good person. Thank you so much!! Thanks again Linda and I look forward to working with you again in the future. I also will refer other people to you, as I believe in your products. Thank you so much for my woven labels! WE LOVE THEM!! I was out of town and did not have time to get back to you. We are thrilled! Thank you so much. You will hear from my daughter as well, since this is her baby, on how much she loves them! The custom woven labels look great! The assistance we got from your company, in particular you, Amanda, was courteous and professional. I also appreciated being kept on task as far as my time commitment was concerned! We will definitely do business again with you! 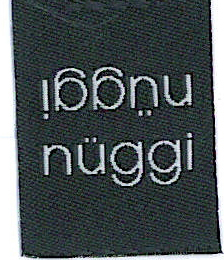 I just got a confirmation that my custom woven labels arrived this am. That was a perfect two weeks, was it not? Thanks for the great service as usual. I received my woven labels yesterday afternoon. They indeed look beautiful! I am very much satisfied with the colors and quality. I mailed one label to one of my friends a few minutes ago to show him how it came out. I am sure he will be pleased. Thank you so much. In the future if I need different woven labels for other products, I’ll come back to you. I wish you a continued success in top quality clothing label making. I have been working with thirty Seven West/Labels America for a year now, and LOVE THEM! 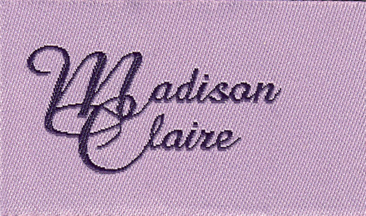 Not only do they make AMAZING woven labels, but their customer service is #1 top of the line AMAZING! 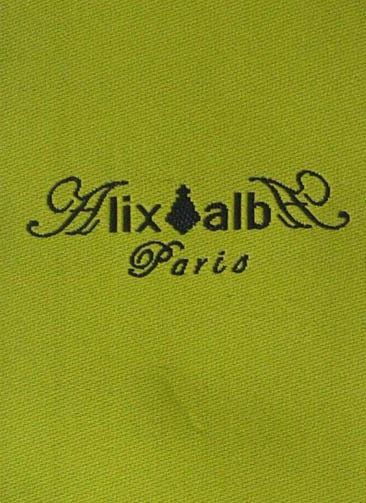 They always offer quick service, and the most BEAUTIFUL detailed and colorful clothing labels. I would never consider another custom label manufacturer… EVER. I recommend Thirty Seven West to all my business friends, and always brag about their wonderful customer service… no one beats or even competes with Thirty Seven West/Labels America!! I wanted to take a moment and let you know how THRILLED I am with the woven labels I recently received from your organization. They are beautiful and the quality is absolutely superb. It took me several weeks of searching until I found someone who could produce these clothing labels EXACTLY as I wanted. I actually contacted about 20 different companies before I settled upon Thirty Seven West/Labels America. Many companies simply could not do them at all since there were more than 4 colors. Others could not produce them because there was a photo involved. Many could produce only printed labels whose printing would have washed away when laundered. 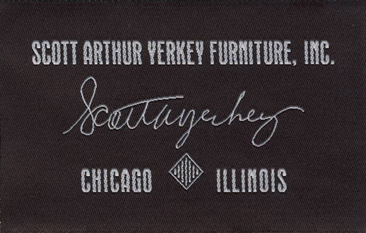 I had almost given up ever getting woven labels produced the way I wanted them to be, when I finally found Thirty Seven West/Labels America. I worked very closely with a lady named Linda, who handled my requests in a wonderful, professional manner. Within a month, start to finish, (even after a design change), I had my labels in hand, EXACTLY as I had envisioned them to be. In this day and time, it isn’t always that a customer is made to feel as if they are the only customer in existence, but Linda made me feel that way. The customer service and quality of the clothing labels is above reproach at Thirty Seven West/Labels America. I’m telling everyone I know about the service and quality that your company offers. Keep up the good work!!! AAAAAAAAHHHHHHH!!!!!!!!!!!!!!!!!!!! They are PERFECT!!!!!!!!!!!!!!!!!!!!!! I am completely thrilled! You guys are now my only supplier of labels. Thank you so much!!!!!!!!!!!! Thank you so much for your efforts in producing my custom woven label. I received it yesterday. They are beautiful. I was so excited I placed one into a garment before going to bed last night. They are just wonderful. When I get a little more ahead I would like to order another batch with a fold on the bottom. I will be in touch. Thanks again. Just wanted to drop you a note about the clothing labels you did for us. I really appreciated the time you took to understand exactly what I wanted. The woven labels are fantastic. I was thrilled with how fast you completed them once we got everything in order. Hope your first order of 5000 clothing labels was a good experience for you. Wishing your business great success. Look forward to working with you again! I chose Thirty Seven West because in a field crowded with woven label providers, they were capable of the level of quality that I required. Their staff was timely and attentive. They gave me a product that is superior to the competition & I would use them again. I am very pleased with the clothing labels and have received several comments on “how cute” they are. And I must say, that the customer services was outstanding. It was my first order process for woven lables, and the communication and turn around time were awesome! 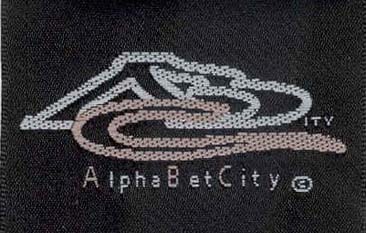 We received woven labels and they are fantastic. Just what we wanted. Thank you so much for your hard work and dedication. Thirty Seven West is very pleased to introduce its interview with Christine Guanipa, who is the owner and designer of Little Man Originals. 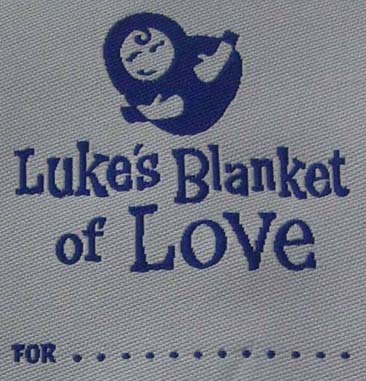 We have supplied Custom Woven Clothing Labels to Little Man Originals since 2005. Christine Guanipa, owner and designer of Little Man Originals, uses her designs to combine the beauty and elegance of 1950’s fashion with the versatility required in today’s world. Since 2002, this Massachusetts-based handbag designer has produced multiple limited production bags, perfect for any occasion. Family owned and operated, Little Man Originals has made its mark by being available in over 200 boutiques and museums as well as expanding online through Etsy. Offering clutches, diaper bags, and everything in-between, Little Man truly is an uncommon original. Thirty Seven West: How long has your family business been around? Thirty Seven West: What has it meant for your business to have a selling outlet like Etsy available to reach a wide market of consumers who share some of your handmade ideals? Christine: Little Man Products are mostly made available to the wholesale market selling in over 200 select boutiques and museums throughout the US. Selling retail through Etsy is a new experience for Little Man and we have yet to further continue our exploration of the possibilities available through that market. Thirty Seven West: What is the benefit of producing limited production items, versus ongoing items in your collection? Christine: We have found that limited production pieces are more desirable and special. Owning one of a hundred is far more valuable than one of millions and speaks to the individuality and uniqueness of our customer. Thirty Seven West: Do you think that you’ll ever expand your collection to include items for a male consumer market? Products like messenger bags, laptop cases, etc, geared towards men? Christine: At this time we design our collection with women in mind, staying true to our motto “Every Woman Needs A Little Man”; however, we have found more and more male customers gravitating towards certain products that we have created with a more simplistic design and unisex fabrics. This has already begun to broaden our market thus far. Thirty Seven West: It seems like nowadays, everyone is trying to accommodate the centrality that our electronic gadgets demand in our lives. With iPad and iPhone cases, and purses and bags built with special pockets for iPods and oversized cell phones—do you feel like you will venture more into that area of products in the future (Perhaps making products specifically for an iPhone, etc)? Christine: We try to stay current with the needs that women have to stow and store. Products like our “Tiny Tim”, “Little Lad”, and “Charlie Change” already point in that direction functioning as fashionable accessories that hold items such as ipods, cameras, and cell phones. 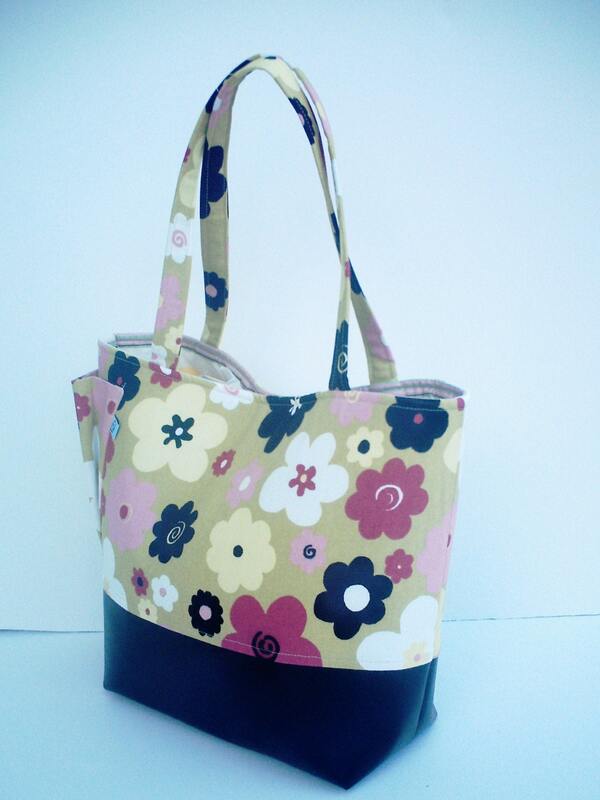 We already provide multiple pockets in most of our larger bags for these items as well. 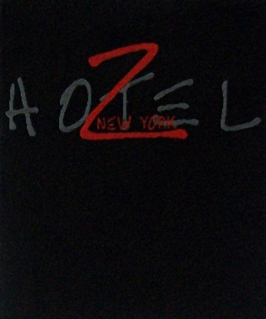 A lap-top case is currently in the works, to be debuted in our 2011 collection. Thirty Seven West: How do you compete in a market where so many independent designers/manufacturers and also giant, corporate manufacturers are constantly flooding the market with new bags? Christine: We try to stay focused on what Little Man has been called to; to create practical, functional handbags and accessories that have a timeless look with a contemporary, fashion forward slant. We consistently create a solidly constructed product that is a limited production and is made in America. We believe our customers value this component of our company and product. Thirty Seven West: How do you stay unique and still reach your consumers? Christine: Vintage values, personal attention to our customers, and every item that leaves our studio. Thirty Seven West: Where do you find your inspiration for new bags? Christine: From old bags! I look to the successes of the vintage handbags and their makers and really look at what it is that draws me to them. Our designs reflect the bags we have admired from the past. We especially take our inspiration from the bags of the 1950s and add a modern element, while still keeping with the values of quality craftsmanship, inventiveness, simplicity, and classic style. Thirty Seven West: How often do you try to introduce new products to your collection line? Christine: We try to add at least one new bag or accessory every year. Christine: One quote that resonates with me is, “Do not despise the day of small beginnings.” This saying always brings me back to my first sale to a store. It was only $60 but I was so happy, and it has encouraged me to continue doing what I love because someone else will love it too! A more recent “triumph” was at the JFK Presidential Museum, where Little Man is on exhibit in every style and shape! It is a proud moment for Little Man, being “Made in America”, and having the privilege of being shown in a place that memorializes one of the most historical families in American History.